A spokesperson for the Iowa Lottery says it’s unusual for large prizes to go unclaimed, but a lot of winning tickets for smaller prizes weren’t turned in last year. Mary Neubauer says two Powerball tickets purchased in the state — one worth $10,000 and the other worth $20,000 — will expire next month. “We usually don’t see prizes at this level go unclaimed, but in fiscal year 2014, the total of prizes that went unclaimed in our lotto games added up to nearly $1.4 million,” Neubauer says. 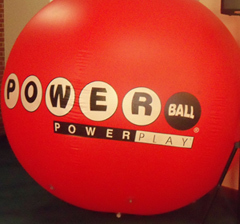 The valuable Powerball tickets that remain unclaimed were purchased nearly a year ago at lottery retailers located on opposite sides of the state. The $10,000 winning ticket bought in Council Bluffs will expire at 4 p.m. on June 18, while the $20,000 winning ticket purchased in Waukon will expire at 4 p.m. on June 29. If the owners of those tickets fail to turn them in by the deadlines, Neubauer says the prize money will eventually go to someone else. “Here in Iowa, the money from unclaimed prizes goes into the lottery’s prize pools for future games and promotions, so it will be given back to players in the form of prizes, just not those particular prizes that expired without being claimed,” Neubauer says.